Playing up an age level, Brookshire had himself a great run in a game on Day 4, really putting together a solid outing on offense with a blend of dribble penetration and outside scoring. The young lead guard attacked the middle at will much of the game, and used a blend of moves off the bounce to put the ball through the net. He also knocked down a pair of three’s in the game and got to the free throw line for a couple easy points as well. Brookshire finished the game with 20 points and also shelled out 3 assists. Bubak was solid for Lincoln Supreme as he played really well inside, but also hit a couple shots away from the hoop to show some versatility. The developing wing prospect was active on the glass, going in strong to pull down some tough rebounds, and also finished with good touch on offense, as well as sinking a couple free throws en route to 16 points with 7 rebounds. There’s not a whole lot to add to the story of Buchanan’s day except that he was absolutely on fire in their win earlier on Saturday. With a clean looking shooting stroke, Buchanan made the d the opponent pay for any inch they gave him at a look from beyond the arc, going 7-of-7 from three in the first half! Buchanan hit three’s pulling up in transition, knocked down three’s coming off ball-screens and also on spots up. He also played well overall defensively reading some plays and jumping in for 3 steals. He finished the game with 30 points. Byhre had an outstanding game early Saturday for Ray Allen as he was strong on both ends of the floor. With his size and energy, Byhre ripped down several rebounds and was able to alter opponents’ shots. 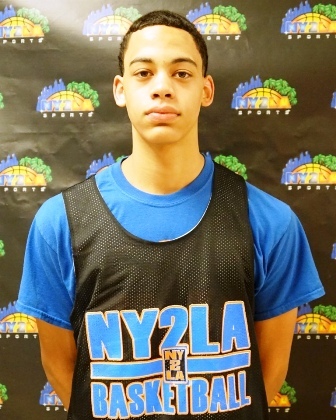 On offense, the 6’8” prospect finished really well at the rim, knocked down a couple mid-range shots and got to the free throw line by playing strong around the basket, including making a really nice play on a baselines seal up into a nice catch and finish. Dreamer had a really steady game for Martin Brothers early Saturday in a hard-fought contest. With good length and height as a wing/guard, Dreamer made the three-ball look routine at times, sinking 4 triples in the game and then cleaning up a couple other plays around the rim to finish the game with 16 points, and also adding 5 rebounds in the game. The Bolingbrook product had himself an impressive outing in a tough game Saturday. Grant showed really nice quickness and burst up the court with the ball in his hands, while still having good control and a nice touch with the ball when going up against or past contact. He showed some nifty moves when attacking the rim, and also showed off a repertoire with a floater and a three-point shot (2) as well. Besides his offense, he played good defense on the ball, poking away three steals. He finished with 20 points, 3 assists. In battling against Chicago Lockdown, Haddock was outstanding on offense and played gritty on defense as well. The tough guard shot the ball really well from the perimeter, draining 3 three’s in the game, and was really strong with the ball in his hands in transition and while attacking the paint. He got himself to the line and was excellent, going 7-of-7 at the stripe, and he made some nice plays both at the rim as well as a nice pull-up jumper. Haddock finished with an impressive stat line of 22 points, 4 assists, 3 rebounds and 3 steals. Haney played really well alongside Brookshire in their early run. Haney was really good finishing going to the basket, and mixed in an array of shots, both from the baseline and mid-range areas with jumpers and floaters. He also sank the three-ball, and doled out a few nice passes in the game to help his team, finishing with 18 points and 4 assists. 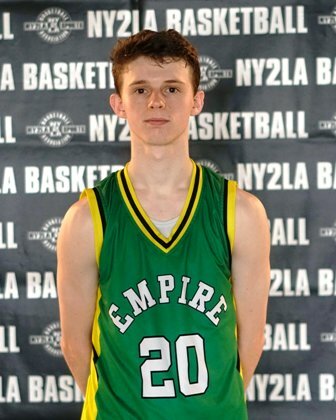 Hebb was simply awesome in Empire’s final game Saturday, willing his team to a victory with tough play from start to finish. The rising guard prospect was on the attack and finished really well through contact going to the hoop, he was excellent at the free throw lining sinking 7 of his 8 attempts, and rebounded the ball, stole the ball away at times from the opponent, and really created tempo for his team. Hebb also sank 4 three’s with a clean looking stroke and finished the game with 33 points, 3 rebounds and 3 steals. Ivory made some really nice plays throughout the game for his Blizzard team midday Saturday and led the team to a good win. The talented prospect made shots from the perimeter, he showed some really good athleticism and feel when attacking the paint and getting to the rim for the finish, and was able to knock down a couple jumpers as well. He has good length at the wing spot and showed off a nice inside-outside game. Johnson played really well for Breakaway on Saturday, leading his team in scoring and making some nice plays on both ends of the floor. Johnson was active from start to finish, and put a lot of pressure on the defense with his aggressive play and solid shooting. He went 4-of-5 from the free throw line, but did a lot of damage from the perimeter with 3 triples as well, and finished the game with a solid 19-point effort. Jones was the star of Teague’s first game on Saturday, playing really strong on both ends of the floor, particularly with his second half effort. Jones got to the rim and was very aggressive attacking the hoop, getting himself to the free throw line by being strong going through contact. At the free throw stripe, he went 6-for-6. Jones pulled down a number of rebounds in the game, and ended the win with 20 points. The big man on the blocks, Jones was a force for Teague throughout the week, and really showed out in their later game on Saturday. Jones was dominant in the post, using a couple nice drops to turn off the defender and finish strong at the rim both with good touch off the glass against contact, or with major power pulling down the rim for the dunk a couple times. Jones also sank a couple short-range shots off the catch inside and was good on the boards. He followed up an 11-point morning performance with a team-high 19 points and 8 rebounds in the latter game. While it was tough to follow his teammate’s game earlier, Klesmit played a really nice overall game in WI Blizzard’s later game, knocking down a bunch of shots for his team and being solid on the boards and defense. 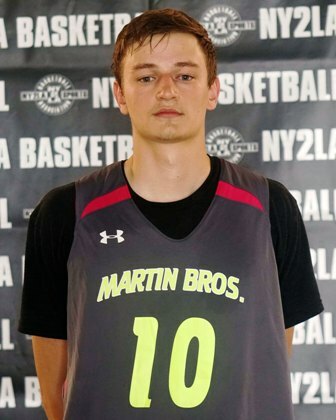 Klesmit did a nice job attacking the gaps of the defense and finding opportunities to knock down mid-range jumpers or get all the way to bucket for scores, but he was really good from the perimeter as well. The talented prospect drilled 4 treys and finished the game with 20 points and 6 rebounds. Millender was outstanding in a toughly-fought game later in the evening. The talented young guard was hot early, and really continued the scoring throughout the game with some big shots at opportune times for his team. Millender did a lot of his work off the dribble, and was able to hit shots over defenders, both going to the rim, as well as a nice fade away-type jumper. The Buckeyes’ guard sank 3 three’s in the game and also doled out 4 assists to teammates and worked hard defensively. He finished with 20 points. Though not a very big guard, Rice plays with good balance and quickness which allowed him to blow by defenders at times. He showed a really good feel for the game offensively, where he made some tough shots on the attack, but was even better from the perimeter where he knocked down 5 three pointers. Defensively, he anticipated plays well and came up with a couple steals, and he saw the floor well, shelling out 4 assists to go with his 22 points. Rodrick had a really nice game for Gain Elite as the day wore on. The young off-guard was good with the ball and did a nice job finding openings on the floor to get good looks at the rim. When he got those looks, he knocked them down often, sinking 4 three’s in the game, but was also able to get to the free throw line by being aggressive and smart with the ball, hitting 4-of-5 free ones. He ended the game with 19 points. Warren had a really nice week for the Warriors leading up to Saturday, and continued that strong play on Day 4 with a solid outing offensively. Warren hit some nice shots both off the bounce and on the catch, racking up 19 points. He was also aggressive defensively and played tough on the ball. Washington continued to impress with his hot play on Saturday, having a couple really nice games in the day. In their later game, Washington was quick up the floor and really put the defense on its heels with his ability to slice through small space and play to the rim where he finished with good body control and touch at the rim. The Madison East-product hit some nice shots, shared the ball a bit with 3 assists and was pressuring passing lanes consistently with 4 steals which helped his way to 17 points. White had a tough day Friday with a mouth injury, but he rebounded well on Saturday with a major 29-point effort for the Spartans-Rebels. White was awesome from the outside with 5 three-pointers in the game, 3 of them coming in the second half, and then also was able to score with a variety of moves to the hoop where he finished at the rim or some pull-up opportunities and sank some nice jumpers. He also had 3 steals in the game and added a couple assists. Conway has great size and length, and seems to be developing his overall game nicely. What was impressive Saturday was how his game continued to elevate as their game went along late in the evening and he got more aggressive going at the basket. He also showed a nice shooting stroke, hitting a three-pointer, and he was very active on the glass. Conway finished the game with 13 points and 9 rebounds. Davis played really aggressive again on Saturday and made some big plays for his team. With good quickness and speed, Davis got up the floor in a hurry and made some nice shots both in transition and within the half-court offense where he sank 2 three’s. He finished with 14 points in leading his team to a solid victory. Garner had the enviable task of trying to stand out in a game where his teammate went off for 33 points, but he certainly made some big plays himself. Garner sank a couple nice looking three’s in their later game, was 3-for-3 from the free throw line, was aggressive with the ball in his hands and finished at the rim a couple times. He also ripped down 6 rebounds in the game and finished with 15 points. Justus Jr. plays alongside some active scoring guards, but he played really well himself and brings some excellent size to the position with a nice feel for the game. Defensively and on the boards, Justus Jr. played with good aggression and strength, and then turned that activity into momentum on the offensive end. He showed off his three-point shooting, scored on the drive, and was able to find teammates for some buckets as well. Justus Jr. finished their win with 16 points, 7 rebounds and 2 assists. Thomas played really well for Ray Allen with a good mix of skills on offense and just tough play. Thomas showed he can shoot it from the perimeter, was strong with the ball on the drive to the hoop and made 3-of-4 from the free throw line as a result. He finished the contest with 14 points.